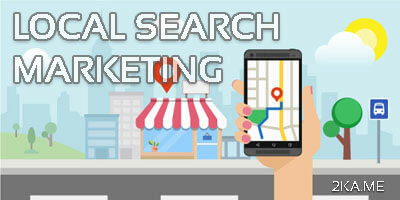 Did you know that according to Google 60% of all consumers search for products online locally? Think about all the untapped potential your business is missing out on. Local SEO is a specifically targeted search engine optimization technique that focuses on the geographical location of consumers. In today’s fast paced world when people are on the go they use their cell phones for mobile search and usage. When they use their phones to search for anything ranging from buying an appliance to finding a delicious restaurant in Maryland (MD) or around the world, their search results are usually localized. Therefore, investing in Local Search Engine Optimization gives your business exposure to a larger audience. One of the steps of Local SEO is creating or claiming your Google Business listing. There are so many website on Google, with so much information. For this reason Google has set up a process giving small businesses the opportunity to rise above large conglomerates and be found by customers. When you claim your business you become trusted by Google. Nowadays, before anyone purchases anything they do their research before proceeding. They research the item and read reviews about it. Having a local listing with reviews from real people gives your business an edge, making it transparent and trustworthy. A regular SEO campaign yield results globally, but with Local SEO your focus will be geographical. Your focus will be people from your area. The benefits of Local SEO are endless. Stay ahead of your competitors by investing in local search giving your business the chance to stand out, found, and know to potential clients. We offer a selection of packages that increase the growth of visitors to your site, giving you higher conversion rates. View of packages and Local SEO plans in more detail on our Local SEO Packages page. PreviousPrevious post:What is a Google Business ListingNextNext post:How to apply Local SEO to your Business.